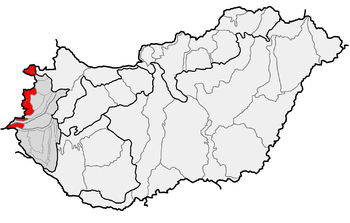 Alpokalja (English "feet of the Alps") is a geographic region in Western Hungary. Its highest point in Hungary is Írott-kő, with 882 metres. Although there are several lower mountains, the majority of the territory is hilly. Fir forests are characteristic to the region. 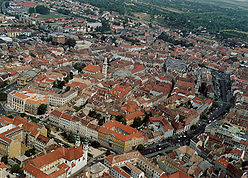 Alpokalja contains two major, but not very extensive mountain range: the Kőszeg Mountains and the Sopron Mountains. The Vas Hills and Balfi Hills are also considered part of the territory. This Hungarian geography article is a stub. You can help Wikipedia by expanding it.